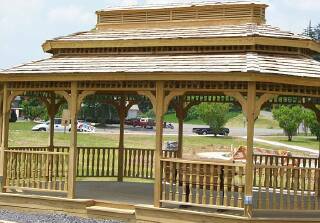 Our distinctive Gazebos are crafted in the Old World Tradition with superb workmanship and pride! 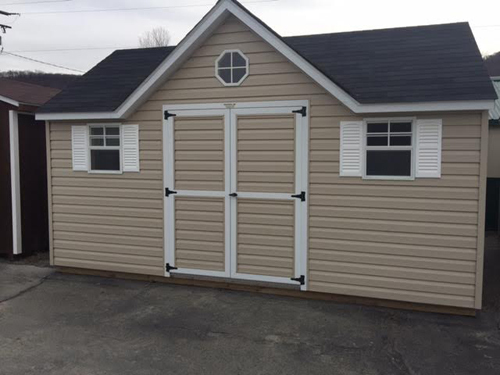 This will ensure years of pleasure and enjoyment for you while enhancing the appearance and value of your property. 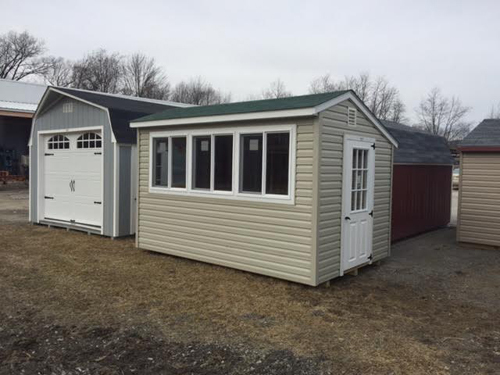 The picture shows a 10 x12 Deluxe model prior to delivery to the customer. 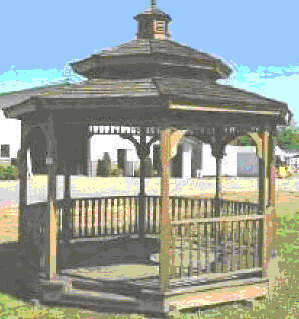 Gazebos...Beautiful to look at, affordable to own, and timeless designs for your comfort and pleasure. Gazebos are again becoming quite popular for today's family lifestyle. Return to the simpler more traditional ways of living. 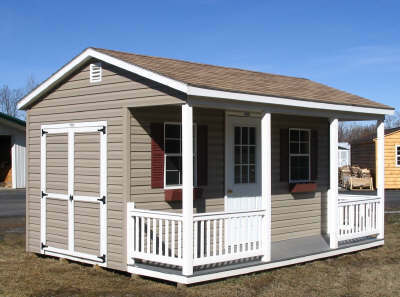 Spend time with family and friends in the privacy and comfort of your own backyard. Nearly 5,000 years ago Gazebos were popular in Egypt. They graced the gardens of kings, queens and nobles. Again, they were common throughoutthe Victorian Era, for that quiet peaceful retreat when times were simpler. 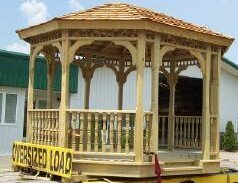 Our gazebos are hand built by skilled craftsmen. 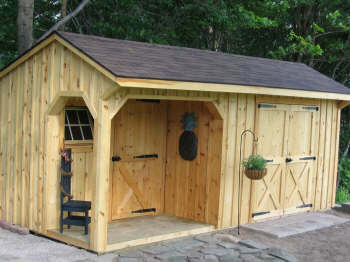 Only the finest, most durable wood is used, pressure treated pine or western red cedar. These woods are long lasting and will maintain their beauty for future generations. Now our Gazebos are also available in vinyl for little or no maintenance. 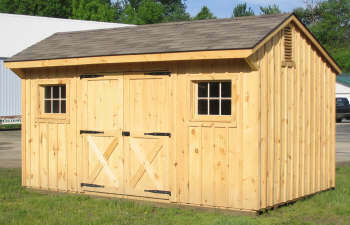 The above photo shows a 12' Victorian Cedar model. 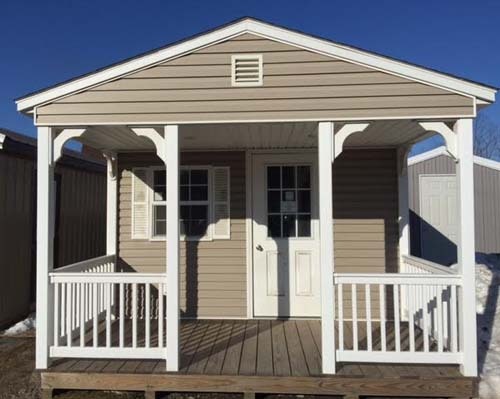 Assembled gazebos are available in a broad range of sizes starting at 8 feet wide all the way to 14 feet wide and as long as 34 feet. 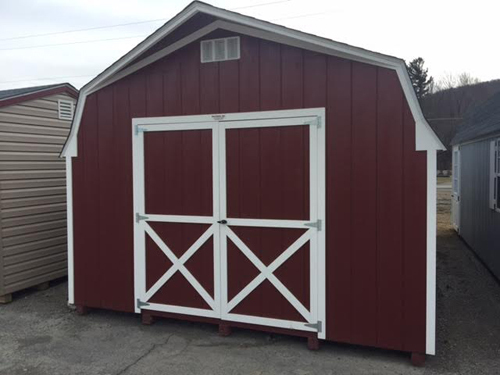 Wider sizes of 16 and 18 feet are available in prefabricated kits. at the Mansfield, PA Veterans Memorial Park. 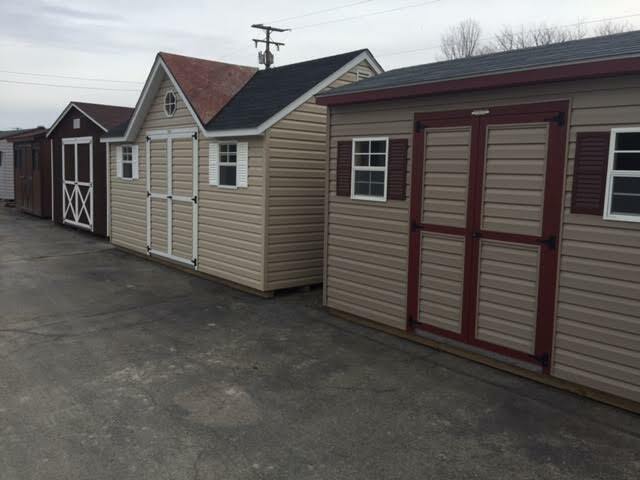 Our storage sheds and mini-buildings are strong enough to accommodate lawn equipment, small tractors and other recreational vehicles. 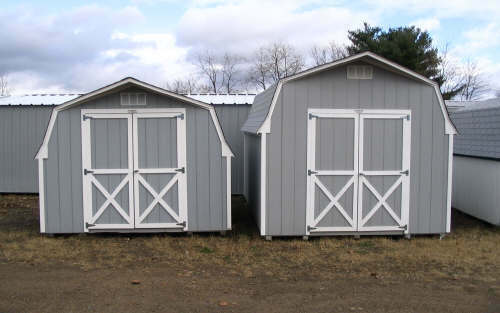 They are of solid construction to withstand high winds and snow loads. They are built on top of pressure treated 4" x 4" skids to keep them off the ground and movable. 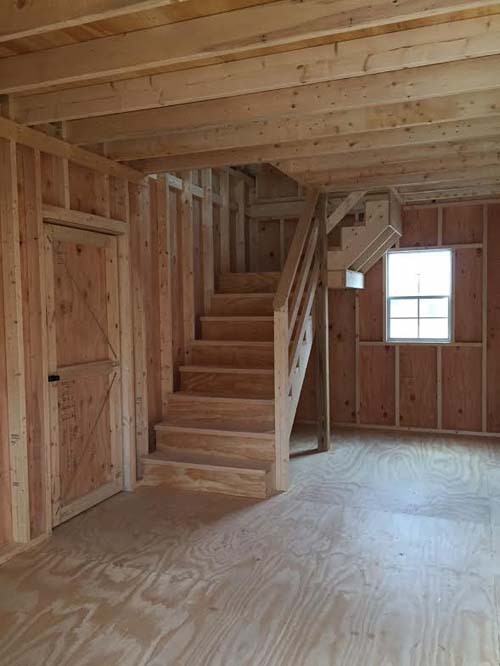 Floor joists are 2" x 4" on 16" centers and the flooring is 5/8" plywood. 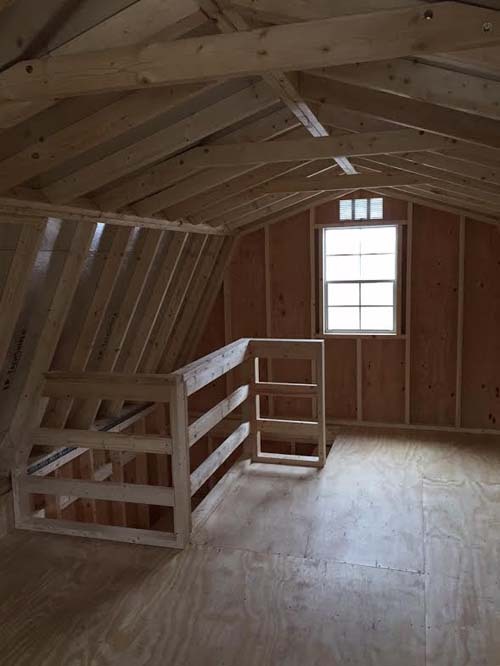 Studs and rafters are on 16" centers. Shingles have a 20-year warranty. 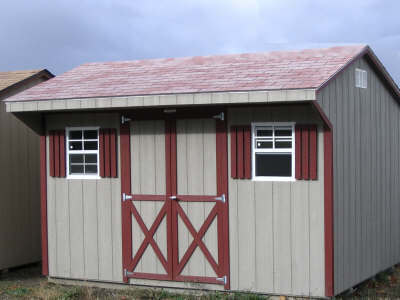 Those with wood siding are made with DuraTemp T1-11. 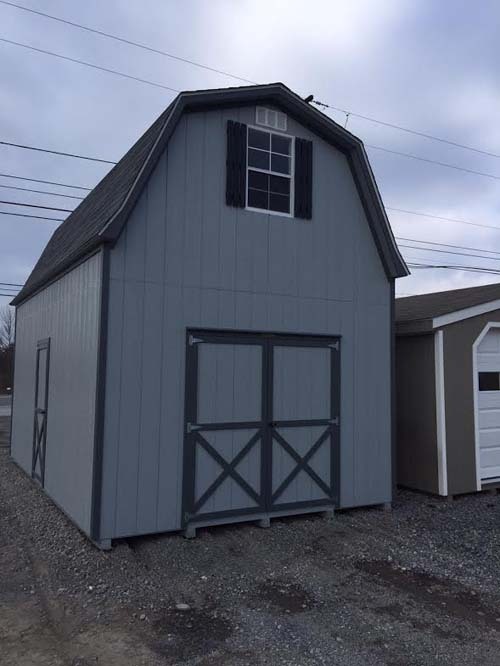 WE CAN BUILD ALMOST ANY STORAGE SHED YOU CAN IMAGINE!